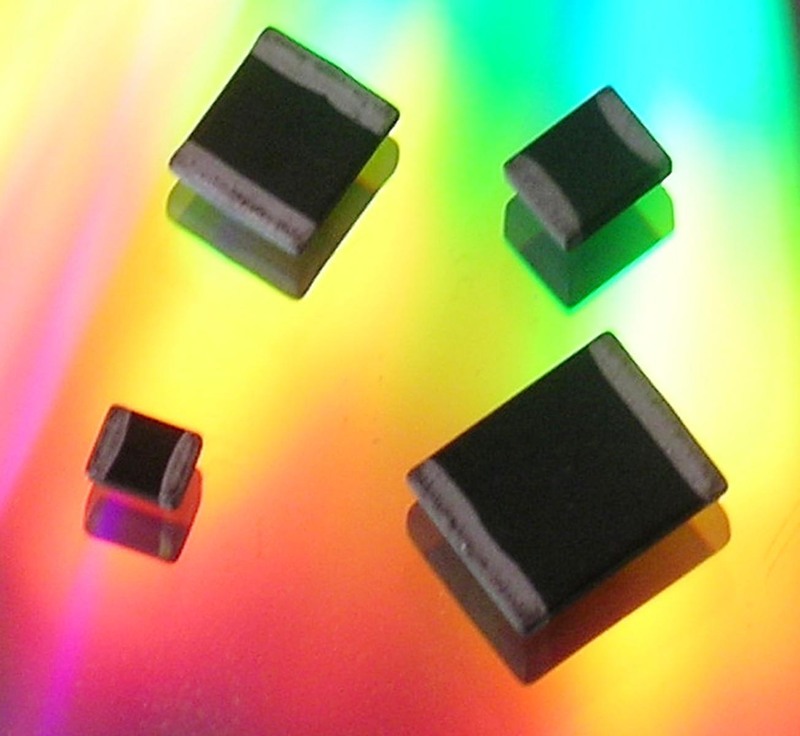 RALEIGH, NC (August 5, 2009) - The ZVE Series from Stackpole is a low capacitance surface mount multilayer varistor designed for ESD protection. High capacitance can distort or even block communications signals. Since the ZVE Series is a multilayer varistor, it is inherently bi-directional and can handle higher current than similarly sized silicon based and spark gap technology products. The ZVE Series is a good choice for low speed Ethernet lines, RS485, IEEE 1284, USB 1.1, and non high-definition video and audio ports and cables. The ZVE Series is available in standard 0603, 0805, 1206, and 1210 chip sizes. Operating voltage is 18 Vdc and clamping voltage is 50 volts at 2 amps. Capacitance ranges from 75 pF on the 0603 size to 400 pF on the 1210 size product. The surface mount ZVE Series is available in standard 7" tape and reel packaging. Pricing varies with size and ranges from $0.085 each to $0.185 each in full reel quantities. Contact Stackpole volume pricing.